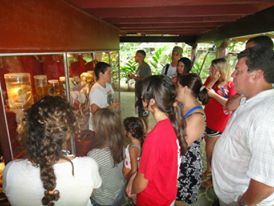 The Jaguar Rescue Center, located in Puerto Viejo, Limón, is a non-profit organization that works to rescue and rehabilitate wild animals with the aim of releasing them back into protected areas. You will be working with monkeys, sloths, raccoons, margays, owls, kinkajous, among other animals. Tasks: Clean cages, prepare food, feed the animals, interact with them and if you stay at least a month, you can also get involved with guiding tourists through the center. Other requirements: Love animals and don't be afraid to get a bit dirty. Be willing to pay the fee to the center: $350 per week, including 6 nights accommodations with breakfast. You need to take care of accommodations during the other 3 weeks yourself and we recommend our own hostel, Spanish by the Sea - Puerto Viejo. Min time of dedication: 4 weeks. Work schedule: 8 am until 3 pm, 5 or 6 days a week. 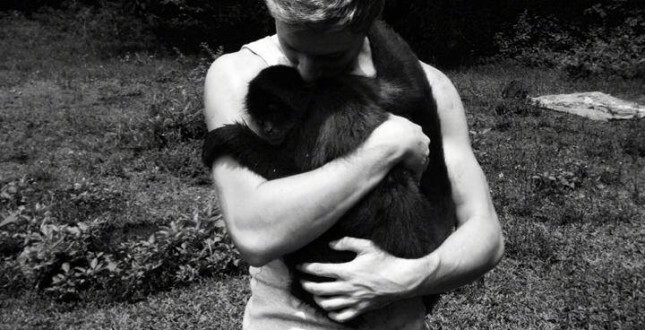 La Jungla Wildlife Center is a non-profit rescue center dedicated to the preservation of local wildlife. The center is located near Spanish by the River. La Jungla is the home of many Panamanian species that are ill or hurt. 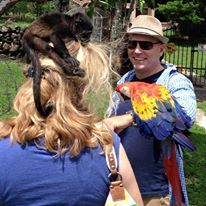 La Jungla conducts tours inside the large aviary and monkey habitat allowing individuals and small groups to touch and interact with the animals. Every day La Jungla takes good care of these animals on-site and has a rehabilitation program. There is also a restaurant and a bar located on-site. Tasks: Feeding animals, construction, maintenance, cleaning, working with the children that come and visit and working in the restaurant. Other requirements: War old clothes. Min time of dedication: One afternoon. Work schedule: 1 untill 5 pm, Monday through Friday. When closed: Check with us.